Carlos Ghosn, head of the Nissan-Renault alliance predicts that only 10% of vehicles will be powered by electricity in 2020. Despite consumer and political support to move away from carbon-based fuel sources for our vehicles, Mr. Ghosn’s observations will undoubtedly draw some fire from the alternative fuel industries. An uptick in oil prices, increased taxes on petroleum products and/ or other government intervention could dramatically accelerate the adoption of electric and other alternative fuel vehicles. New Vehicle Tax Deductions and Credits. Watch Your (GVW) Weight and Your AMT. Plus: Lease vs. Buy Information. Please scroll through blog and "Library" section for additional tax credit articles including business depreciation increases for business vehicles in my February 15th blog. 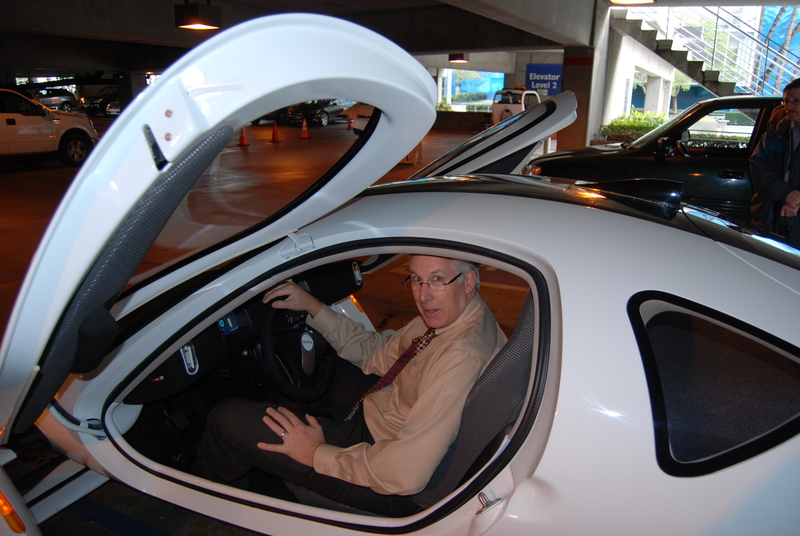 The 2009 Federal Stimulus Package which was signed into law on February 17th contains a favorable incentive for purchasers (but not lessees) of a new car, motorcycle, truck, or SUV weighing less than 8,500 pounds [(determined based on Gross Vehicle Weight (GVW)], which includes passenger and cargo capacities, as well as Recreational Vehicles of any weight. To illustrate, Hummer models H1 and H2 are ineligible since they have GVW's exceeding the 8,500 threshold. However, Hummer H3 models are under the weight limit, therefore are eligible for the new sales/ excise tax deduction. The purpose of this tax provision was to jump-start the ailing auto industry – both manufacturers, as well as retailers. It might be a little too late, but auto dealers are certainly seeing people on their lots making reference to this tax break. Months after enactment, there continues to be a fair amount of taxpayer confusion regarding the specifics of this new incentive. Since the legislation started off as a tax credit, but morphed into a tax deduction (which is only worth approximately 1/3 the value of a credit) in the Senate, most vehicle shoppers still think this is a tax credit. The new federal tax deduction allows non-business taxpayers to deduct the sales or excise tax attributable to the first $49,500 of the new vehicle purchase. Taxpayers with Adjusted Gross Incomes (AGI) of less than $250,000 (Joint Filers) or $125,000 (Single) can claim the full benefit on both domestic and foreign vehicles purchased on or after February 17, 2009 and no later than December 31, 2009. Those making more than these thresholds will be subjected to phased-out benefits. Therefore, family members who might be over these limits should evaluate who will be using the vehicle and who should make the purchase in order to maximize the benefit. Business taxpayers will generally not benefit under this provision since they are generally required to capitalize the sales or excise tax as part of the acquisition of the vehicle. The capitalized costs will then be eligible for Section 179, bonus, or regular depreciation expense. If a California based non-business taxpayer purchases a Cadillac Escalade (a 7,200 pound "lightweight" SUV) for $75,000 in Los Angeles County, they would be entitled to a sales tax deduction of $4,579 ($49,500 limit times 9.25% sales tax rate). The $4,579 deduction represents a federal tax savings of approximately $1,511 (2% of the purchase price or 3% of the $49,500 maximum purchase price) for a taxpayer in the 33% tax bracket. This example presumes that the purchaser uses the vehicle solely for personal purposes. Sales tax associated with the business-use percentage of vehicle will generally reduce the Schedule A or “above the line” deduction and such amount must be capitalized and will impact the annual business depreciation deduction. One tricky element associated with this new tax incentive may limit the tax savings to a very small number of taxpayers. If the taxpayer is subject to the federal Alternative Minimum Tax (AMT) for 2009, and the taxpayer claims this deduction on Schedule A, along with other allowable deductions, the sales/excise tax might yield no federal tax benefit since the AMT system will add this deduction back to AMT Taxable Income. Non-itemizers who are allowed to deduct this expense "above the line" (without the use of Schedule A), will be allowed to deduct the full amount for both regular and AMT purposes. However, from a practical perspective very few non-itemizers are subject to AMT anyway, so the exemption from AMT will be very limited. While we are on the subject of vehicle deductions, it is worth noting that as part of the federal Stimulus Package, Congress also increased the first year auto depreciation limit for business vehicles by $8,000 for a revised 2009 limit of $10,160, and $11,160 for light trucks and vans. These revised limits are the same as the temporary 2008 increase and will only apply to new and used vehicles placed in service during calendar 2009. Of course this presumes 100% business-use, the personal use will proportionately scale back these new limits. A number of hybrid and alternative fuel vehicles also continue to be eligible for federal and state tax credits (see below) – but watch out for production limits and caps on the credits. Despite the turmoil in the auto industry, and potential limits on the new sales/use tax deduction, it is a good time to consider purchasing a new vehicle in order to save some federal taxes. The federal Stimulus Package added a new Plug-In Electric Vehicle Credit – Base credit of $2,500 per vehicle for purchaser with phase-down after 200,000 units produced. The vehicles will not be eligible for the Section 30B hybrid credit. The credits allowed for new advanced lean burn technology motor vehicles and new qualified hybrid motor vehicles were phased out for vehicles manufactured by Toyota Motor Corporation (viz., Toyota and Lexus models) and purchased on or after October 1, 2006. No credit may be claimed on post-September 30, 2007 purchases of these vehicles. The credit for Honda vehicles purchased on or after January 1, 2008 is also subject to a reduced amount and no credit is allowed for purchases on or after January 1, 2009. Hybrid or lean technology Toyota vehicles (including Lexus vehicles manufactured by Toyota) purchased before October 1, 2006 qualify for 100 percent of the credit. Taxpayers buying qualifying Toyota vehicles on or after October 1, 2006 and on or before March 31, 2007 may claim 50 percent of the otherwise allowable credit. Vehicles purchased on or after April 1, 2007 and on or before September 30, 2007 are eligible for 25 percent of the credit. The credit is not allowed for vehicles purchased on or after October 1, 2007 (IRS News Release IR-2006-145, September 20, 2006). The allowable credit for Toyota and Lexus hybrid vehicles purchased on or after October 1, 2006 and before October 1, 2007 are provided in the ending charts below. 50 percent of the otherwise allowable credit may be claimed for Honda vehicles purchased in the first two quarters of 2008 and 25 percent in the last two quarters of 2008. No credit will be allowed for purchases after 2008 (Notice 2007-98, 2007-50 I.R.B. 1160). The reduced hybrid credit amounts for Honda vehicles purchased in 2008 are in the ending charts below. No credit is available for purchases of Toyota and Lexus hybrid vehicles after September 30, 2007 (IRS News Release IR-2006-172, November 6, 2006; Notice 2006-78, 2006-41 I.R.B. 675; IRS News Release IR-2007-28, February 8, 2007; IRS News Release IR-2007-186, November 8, 2007). No credit is available for purchases of Honda hybrid vehicles on or after January 1, 2009 (Notice 2007-98, 2007-50 I.R.B. 1160). The IRS has announced that rebates or cash incentives offered by employers to employees to encourage the purchase of hybrid cars are taxable compensation. Employers must include the cash incentive amounts on the employees' year-end Form W-2. The amounts are also subject to income tax withholding and employment tax. For the exclusion for employee discounts to apply, the employer must produce the property and other requirements must be met (IRS News Release IR-2006-112, July 13, 2006). The IRS has issued a list of qualified alternative fuel motor vehicles (QAFMV) and qualified heavy hybrid vehicles. 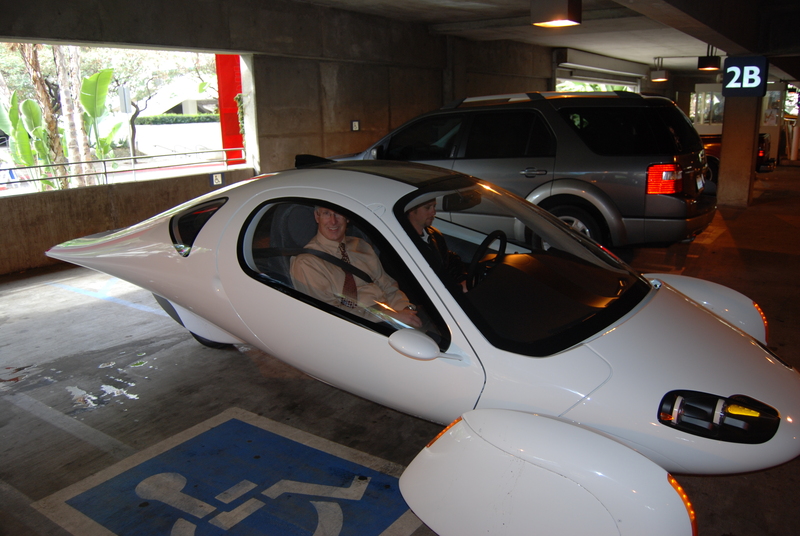 QAFMVs, which are vehicles powered by alternative fuels (compressed natural gas, liquefied natural gas, liquefied petroleum gas, hydrogen and any liquid at least 85 percent of the volume of which consists of methanol) or a combination of an alternative fuel and a petroleum based fuel, can have an allowable credit of up to $32,000. QAFMVs can be either new, original equipment installation vehicles or prior use vehicles that have been repowered to use an alternative fuel by an aftermarket installer. Qualified heavy hybrid vehicles, which are hybrid vehicles with a gross vehicle weight rating of over 8,500 pounds, can have an allowable credit of up to $12,000. The lists for both QAFMVs and qualified heavy hybrid vehicles are posted on the IRS website at http://www.irs.gov/newsroom/article/0,,id=157557,00.html (IRS News Release IR-2007-196, December 5, 2007). The IRS has provided interim guidance, until regulations are issued, relating to the qualified heavy-duty hybrid motor vehicle creditunder Code Sec. 30B(a)(3) and (d) and procedures for manufacturers, or domestic distributors of foreign manufacturers, to follow to certify that a heavy-duty hybrid vehicle qualifies for the qualified heavy-duty hybrid motor vehicle credit. Guidance is also provided to taxpayers who purchase vehicles regarding the conditions under which they may rely on the vehicle manufacturer's or a foreign vehicle manufacturer's domestic distributor's certification in determining whether a heavy-duty hybrid motor vehicle credit is allowable and the amount of the credit (Notice 2007-46, 2007-23 I.R.B. 1342). © 2009, CCH INCORPORATED. All Rights Reserved. One of the products creating a huge buzz at the Conference is the latest design of Vista, California – based Aptera Vehicles. The Aptera 2e is a 1500 pound, three-wheeled, all-electric vehicle that converges the latest technologies into a very practical means of transportation. The fiberglass shelled motorcycle (yes-the two front-wheeled drive/ one rear-wheel is classified as a motorcycle just like the similarly configured Can-Am Motorcycle), looks like a plane on wheels and has an amazingly low coefficient of drag at .15 – which adds to its energy efficiency. The Aptera is virtually silent other than wheel and braking noise while it quickly accelerates off the line. Reported top speed is 95 mph. Despite its odd configuration, the Aptera 2e is surprisingly stable during high-speed turns. In speaking with the engineers, the car has been glued to the road with no loss of control at speeds of up to 65. Aptera is accepting refundable deposits of $500 to join the impressive list who have already ordered an Aptera 2e which are projected to begin delivery in late 2009. 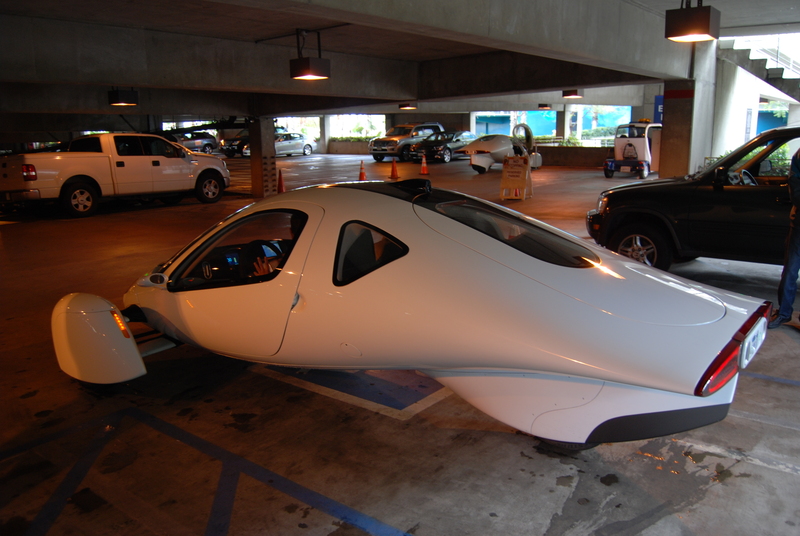 The company is currently projecting that the Aptera will be priced between $25,000 and $40,000. 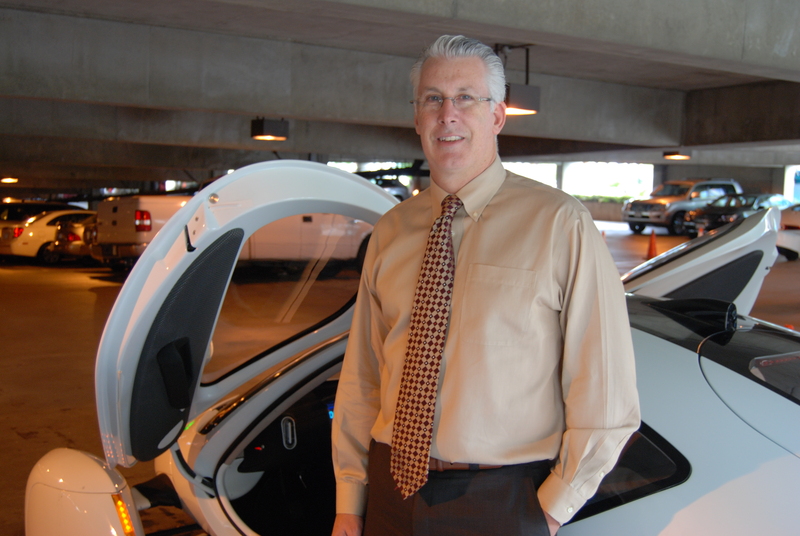 Federal legislation to expand the number and types of federal electric vehicles for the $4,000 federal tax credit is being considered in Congress. http://www.reuters.com/article/pressRelease/idUS130972+04-Feb-2009+MW20090204. Also see the February 15th blog for the 2009 federal Stimulus vehicle tax deduction.